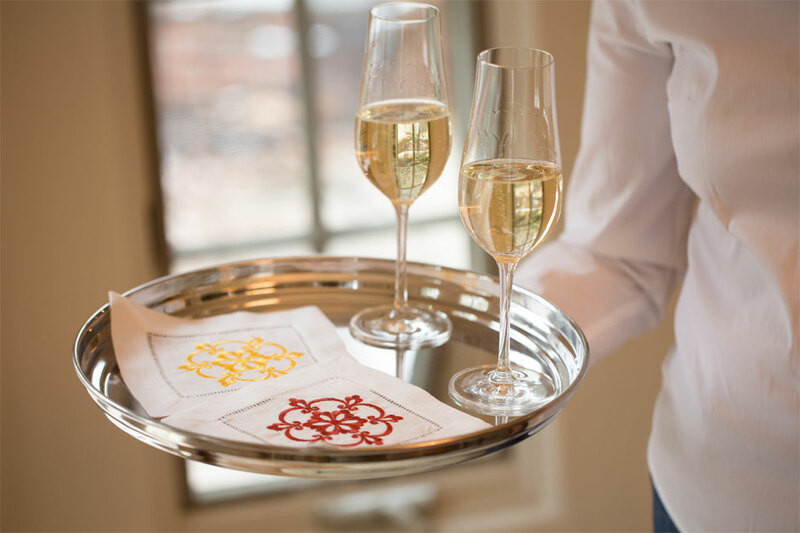 Delicious and Thirsty Fabrics, Custom Monograms, Tasty Prints and Exquisite Embroidery. 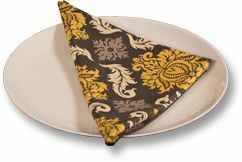 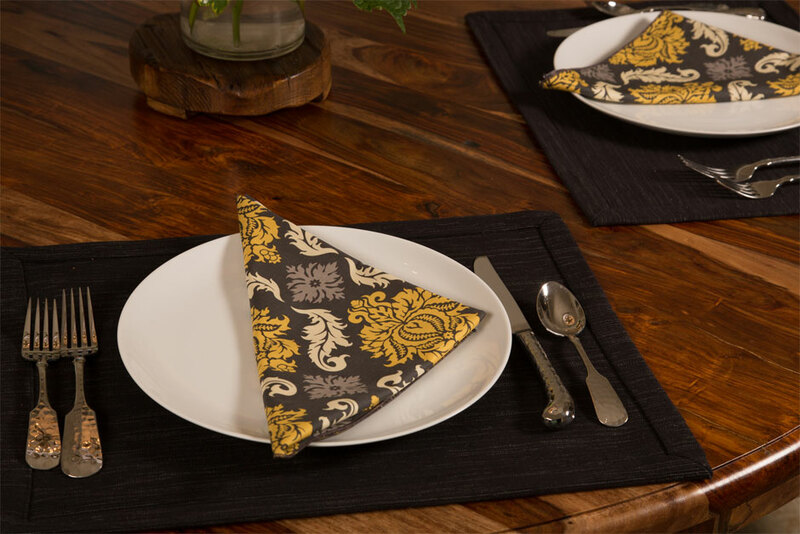 Elegant dinner napkins hand sewn in a variety of prints to add a simple sophistication to your table. 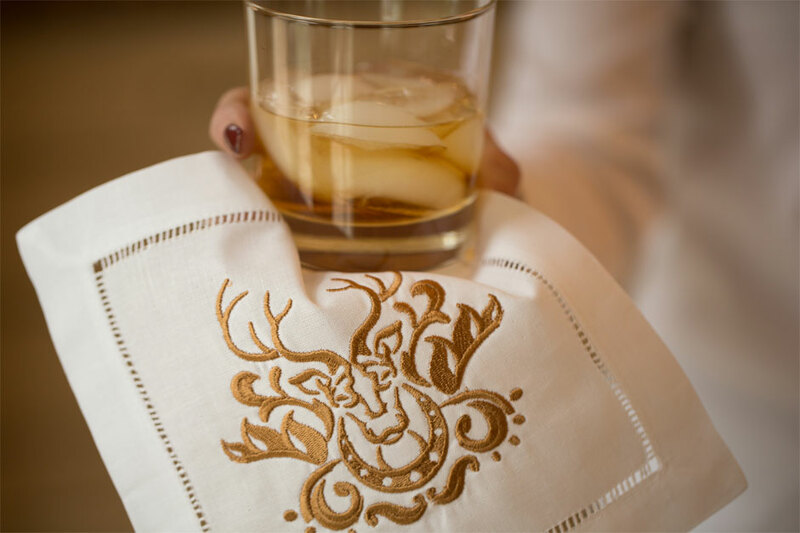 Embroidered hemstitched napkins for special occasions and dressy dinners. 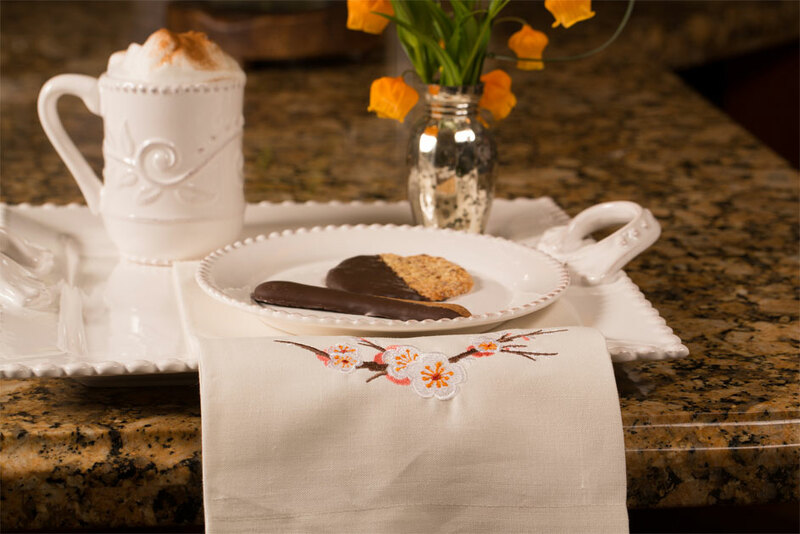 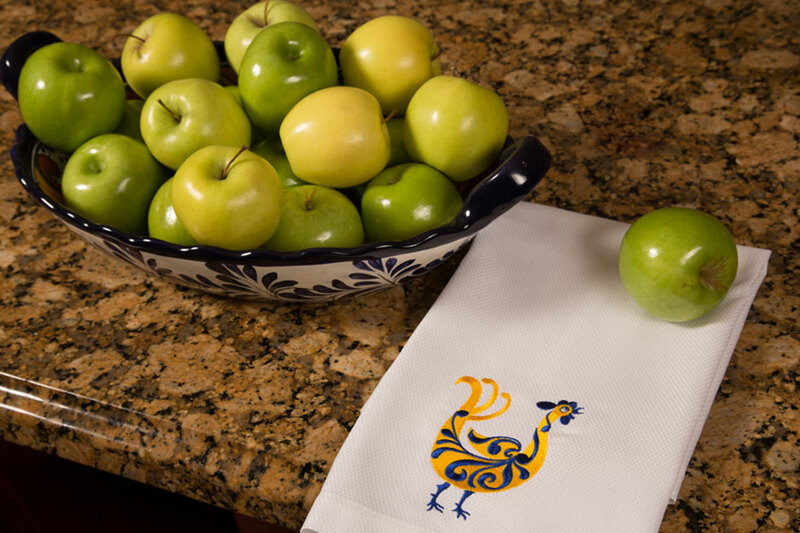 Classic tea and guest towels beautifully embroidered for the distinctive home or exquisite gift-giver. 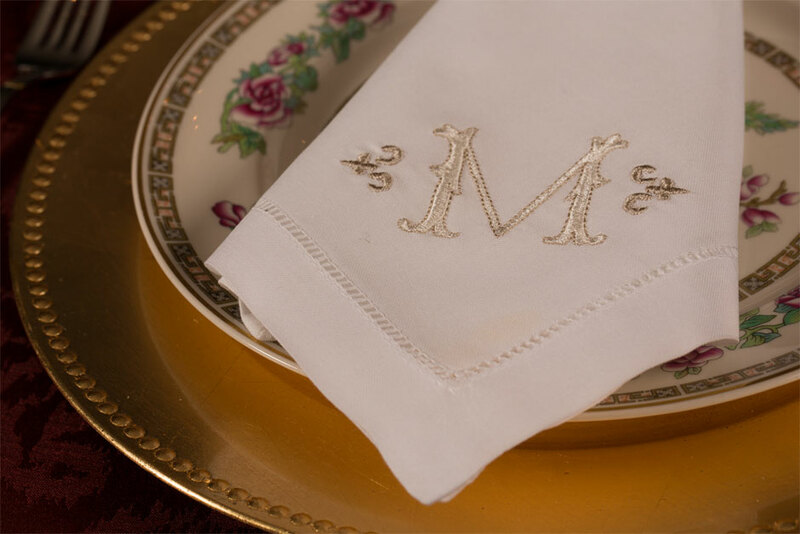 Custom monogramming available upon request.